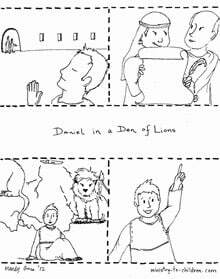 Download these free sequenced story sheets to teach children how God saved Daniel from the Lion’s Den. 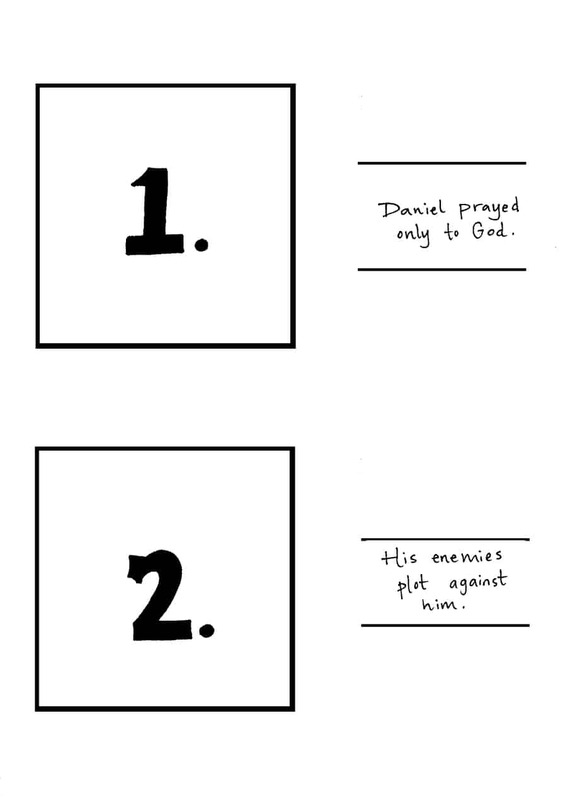 The first page shows the events from Daniel 6 in storyboard illustrations. Have the children color then cut and paste to the numbered sheets below. 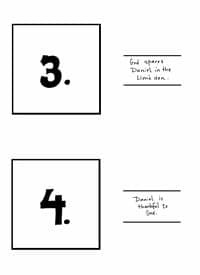 For a framed effect, print the numbered sheets on colored card stock paper. Click on the preview image to the right or use the links below to download. The JPEG version are larger resolution for advanced users to edit with Photoshop software. 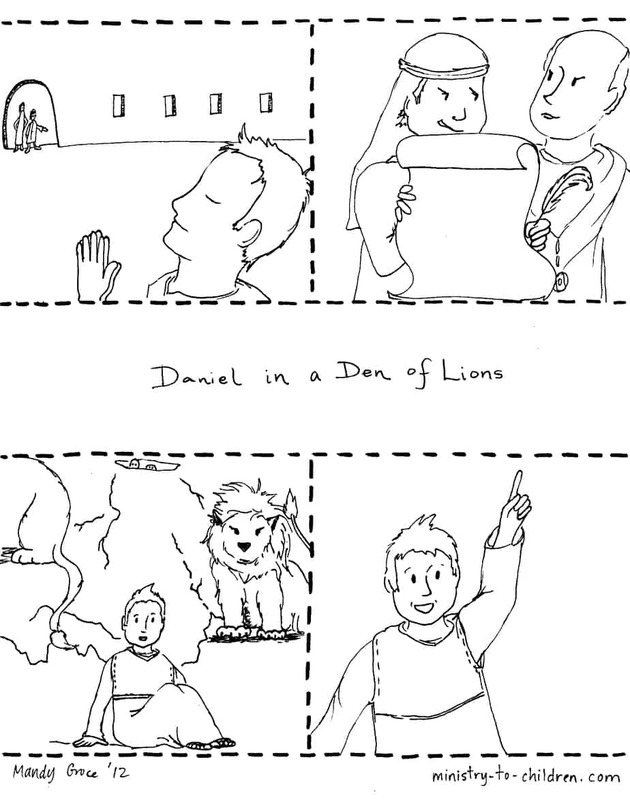 We have several more Bible stories coloring pages in this format. If you enjoy these 100% free resources, share them with other parents and children’s ministry workers. For sure l like your bible lessons and my Sunday school class is very happy with them each time l teach using them, and my class has grown in number from 18 to 31 of different age and so l have to divide them now according to their age and l now have three groups of different ages. 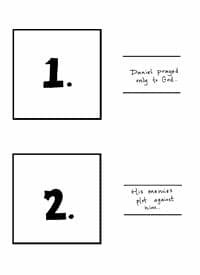 Thank you so much for your lessons keep it up, they love Daniel sticks with God most. Thank you so much for having these free lessons with coloring sheets available for us. At the last minute the 3rd grade is being sent with the 4-6th grades so these sheets helped tremendously to put those age groups together for a lesson. Tony Kummer (Editor) reviewed & updated this page on : April 24, 2013 at 9:02 am. All our content is peer reviewed by our readers, simply leave a comment on any post suggest an update.